Canyoning – playing in a natural water park! Canyoning is not something that too many people have heard of before their holiday but by the end of each summer it always comes at the top of the list of our clients’ favourite activities; receiving rave reviews from all of the destinations where we feature this activity! Effectively canyoning is about enjoying the natural water parks provided by Mother Nature. You descend waterfalls, jump into deep pools, slide, leap and swim as you descend a canyon or gorge. Travelling down as a group there is always a real sense of camaraderie as you encourage each other over the next obstacle. The sound track to this activity is generally a great amount of delighted whoops, shouts, cheers and giggles from the full group. Canyoning can be really rewarding as there is a huge sense of exhilaration and achievement when you all reach the bottom. Not only that, but you get to experience some dazzling natural scenery too in the form of gorges, rock pools and waterfalls. Most canyons have a range of features which means that everyone can participate at their own level. If there is a jump that you find too high, then there is typically a smaller one available to enjoy (or a bypass). The elements of each canyon do vary and some can involve more abseiling, whilst others are more about jumps and slides – all are exhilarating and fun, and our expert guides will be always on hand throughout the activity lead you safely through each of the obstacles and ensure that you get the most from your day. This activity provides a shared family experience and individual challenges which we think active adventures are all about. Canyoning serves up a big helping of fun and a sense of achievement as you actively explore a stunning landscape. You won’t find anything similar sitting on a beach that’s for sure. Where can I experience canyoning? Your family can experience the thrill of canyoning in many of our destinations – both across Europe and as part of some of our long haul holidays. One of our most renowned destinations is the Catalan Pyrenees, a location known across the continent for its canyoning routes. After a walk to the head of our chosen canyon, you will take around an hour and a half to descend down, enjoying the natural slides and pools carved into slate rocks. In Slovenia the Susec Canyon offers one of the region’s most scenic spots and the exceptional guides make sure you really make the most of the natural playground. 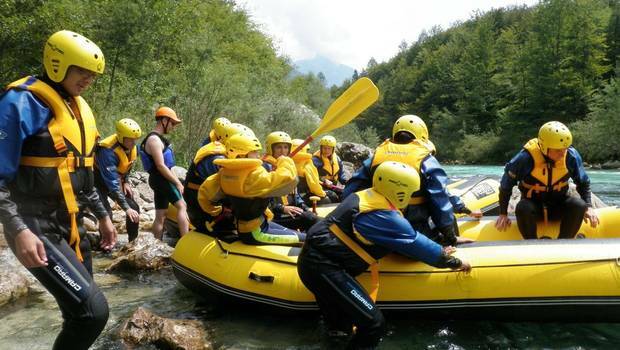 Our Oetz Valley trip is also ideal for those with varied ages in their family as it offers different levels of canyoning from basic beginners to a thrilling adventure for those with previous experience. For something a bit different, our Costa Rica canyoning activity takes place deep in the jungle and focuses on a series of high waterfalls; each of which you descend by rappelling down through the water. Wow! Canyoning can be enjoyed by people of all ages and skill levels who have an average level of fitness. Canyons are generally graded according to technical difficulty and naturally age restrictions do apply on the more difficult grades. It is a highly regulated activity to ensure that it can be enjoyed to the maximum whilst operating to the highest standards of safety. Typically canyoning starts with an uphill walk to the entry point (unfortunately this is the nature of the activity as you must go up to come down!). Please be prepared for this and ensure that you are well hydrated. You will be accompanied by expert guides throughout and they will provide you with the necessary safety equipment and helmets. Depending on the climate in your destination you may also be provided with a wet suit, in some others (such as in Costa Rica) you just wear your own clothes (typically board shorts and a synthetic top). In most destinations we ask that you bring a spare pair of old trainers to wear for the activity as you will be walking on slippery rocks and sharp terrain in some cases. You should be confident in water and able to swim at least 25 metres to enjoy canyoning at its best. In some destinations there are large abseils and some high jumps to enjoy but these do require a bit of a head for heights. Some canyons do have routes around the obstacles (or different grades) but in Costa Rica for example the abseils are the main bulk of the activity and cannot be avoided. One thing we always find is that this is an activity where the guides and the group really help to encourage people to overcome some of their apprehension and achieve the maximum that they are comfortably happy with! Speak to our Travel Experts if you have any concerns - most of us have enjoyed canyoning and can discuss the finer details with you.